What’s it like to be 41 – 42 months old? Watch your child and find out when he likes to talk most. Is he a chatterbox in the car or right before he goes to sleep? This is a great time to start a conversation. Focus on his favorite interests —such as an activity or cartoon character. This shows him that you want to talk to him and you are interested in the things that he cares about. As adults, we know when a person is actually listening to us, and kids do, too. Try to stop whatever you are doing and focus on what he is saying. Repeat what you heard him say to make sure that you understood him. This lets him know that you heard what he was saying. Make sure you soften reactions —as children tend to stop talking if they think you are angry or defensive. He needs to know that you hear and welcome his feelings. Pay attention and talk with your child. Your preschooler repeats “Mommy” or “Daddy” and pulls on your sleeve to get your attention. He wants to talk to you! It happens so often that you may not pay attention —but your child needs you to talk with him as often as you can. To help your child during a stressful time, try to stay calm and relaxed. If possible, stick to your child’s normal sleeping and feeding routines. If she loves to snuggle, make sure that you make time to snuggle with her as much as possible. Try to find the space and time for her to calm herself. Remember that your stress level probably affects your child. Be honest with your child if she asks questions. Your child may ask the same questions over and over again. Be patient. Consistent and patient answers help reassure her. Take time to read some children’s books with her about stressful situations. This will give her a safe time to ask questions and learn more about your coping skills. Reassure your child that you are doing everything you can to keep your home and her safe. They stop fights before the conflict gets out of control. They deal with a tough problem before it gets out of hand. They respect each other despite tough issues. They have a time out rule. If a partner does not want to continue the discussion, he says, “Time out.” Knowing this option is available will keep him from feeling trapped. This provides a cooling off time before things get too hot —then couples can come back and pick up the conversation calmly. Set another time to continue the discussion so the issue is not left hanging. Is he so involved in an interesting activity he does not hear your request? Is he reading a book or watching a favorite television show? Is your child mature enough to follow the rule? Has your child forgotten the rule? Is he having a bad day? Why is the child misbehaving? Children misbehave for many reasons. They may be stressed out, trying to get attention, or feel sick. Prevent misbehavior before it happens. Arrange things so it is easy to do the right thing. Provide play materials —such as crayons, dress-up clothes, toy cars, play dough —so your child has something to do. 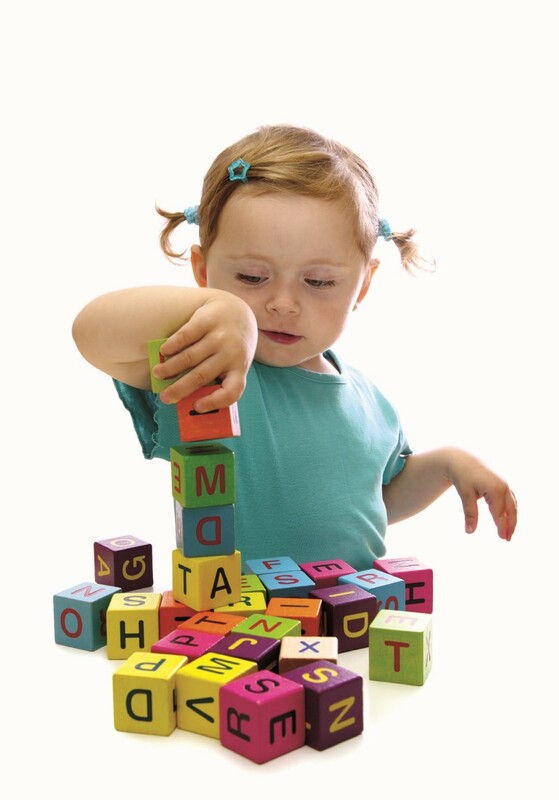 Remove breakable items from your child’s reach to prevent accidents. Keep a routine. Children feel secure by knowing what happens next —and can get upset when their daily routine suddenly changes. Tell your child about changes. If you cancel a daily trip to Grandma’s house, explain why. Let him call Grandma to talk about tomorrow’s trip. • Put the three books back on the shelf. • Put the toys in this bucket. 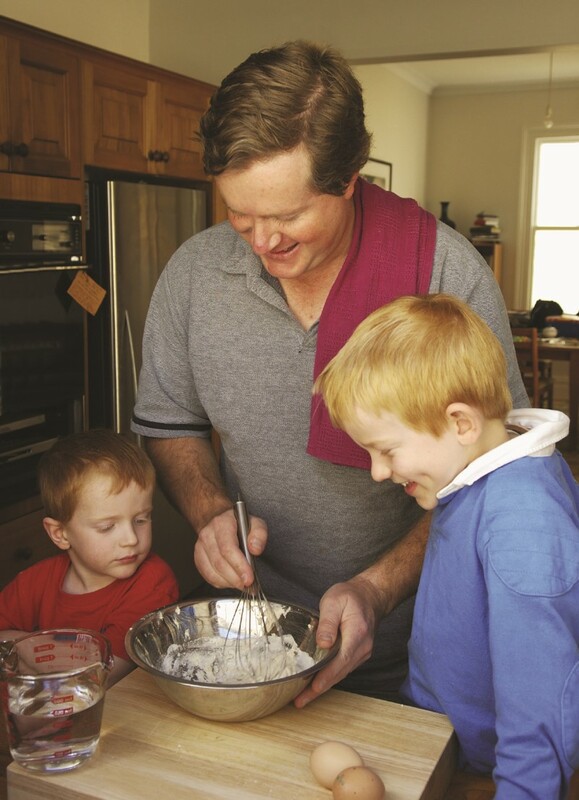 Your child is becoming more independent and may be showing an interest in helping you prepare meals. This is a great chance to help him get excited about and enjoy foods. Not only are you teaching him a life skill, you both will have fun together. Try a “new food night” for the family. Have your child help choose the new food in the store, prepare it and serve the food. Encourage your child to invent his own snacks using healthy foods. When introducing a new food to your child, limit the serving to 1-2 tablespoons, and allow him to ask for more —or serve himself —if he likes the food. Children feel proud when they learn something new. Encourage your child to try new skills and to keep trying. If he is afraid, let him know that you will be right beside him to keep him safe. If he decides to do another activity instead, be patient. Let him decide when he feels safe and secure enough to try. I can play by myself for about 20 minutes. I may be rebellious and very strong-willed. Your child cannot separate fantasy from reality. For example, if an adult has a nightmare, he wakes up, shakes his head, gets a drink of water and says to himself, “Boy, I’m glad that was just a nightmare.” Then he goes back to sleep. If your child has a nightmare, he thinks that the dream actually happened. He cannot separate the fantasy from the reality. Your child believes in magic. He sees adults turn a knob, and water flows from a faucet; they flip a switch and light floods the room; buttons are pushed and you hear Grandma’s voice. Since your child does not understand how this happens, he thinks that all of these occur because of the magical powers of adults! Your child believes everything in the world is alive, especially if it moves, either because someone pushes, pulls or carries it or because it moves by itself. For example, he may talk to the truck as if it were alive. He may become afraid that the curtains fluttering by the open window are monsters and are going to eat him up. “Read it to me again.” You’ve heard that a lot! If you are tempted to say “No,” remember that it will not be long before that cute preschooler becomes a teenager and will not be asking you to read to her. Books provide a way to strengthen the bond between you and your child. Most children love the feeling of warmth and security that comes from snuggling up by mom or dad while listening to a story. The physical contact, combined with the familiar sound of the parent’s voice and the lure of a delightful plot, makes a story special. Besides the pleasure you and your child experience as you cozy up with a favorite book, reading aloud helps your child succeed in school. Preschoolers whose parents read with them at home learn to read more easily when they get to school. Let your child see you enjoy reading. Read to your child. Books are good —but don’t forget signs, menus, mail, billboards, cereal boxes, recipes, calendars, newspapers, magazines, labels and dozens of other everyday items. Use poems. Mother Goose and rhyming songs are great for reading aloud because they have the basic rhythm of language. Play word games. For example, say, “I see something brown that barks. What is it? Or, I have a shoe, it’s new. You have a shoe; it is (ask your child what rhymes with shoe (blue).” Play when you’re in the car, cleaning, or eating. Make lists of jobs to do and shopping lists. Put happy notes in lunch boxes or on pillows. Have a family reading time, and record favorite stories or rhymes for playback. 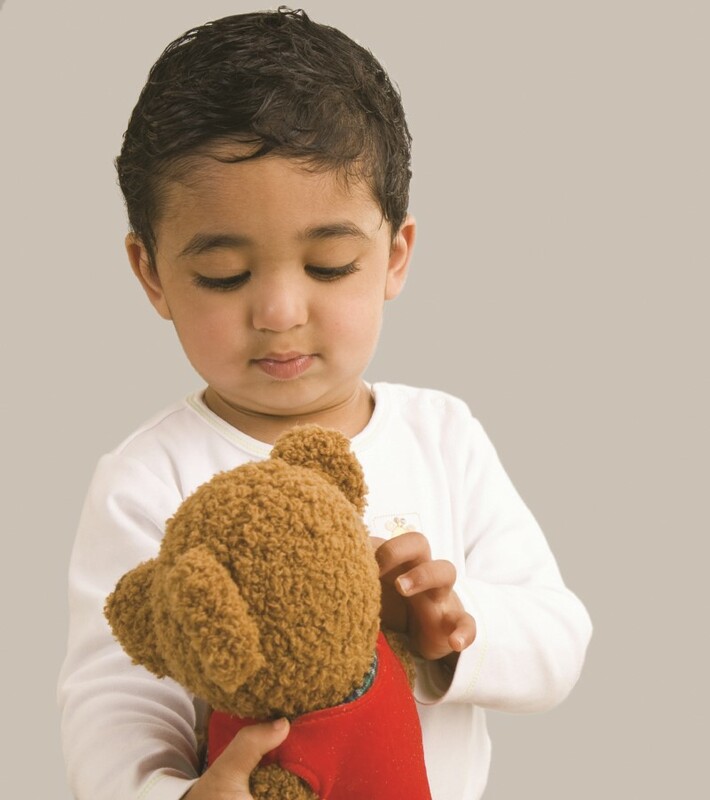 Hearing their own voices played back gives young children confidence and encourages them to speak. Most parents do not want to spank their children. They often feel bad when they do. Sometimes, however, parents use spanking to express their own anger and frustrations with their children’s behavior. A spanking may stop your child for the moment —but it will not stop her from doing the same thing later on. Spanking does not teach what to do. 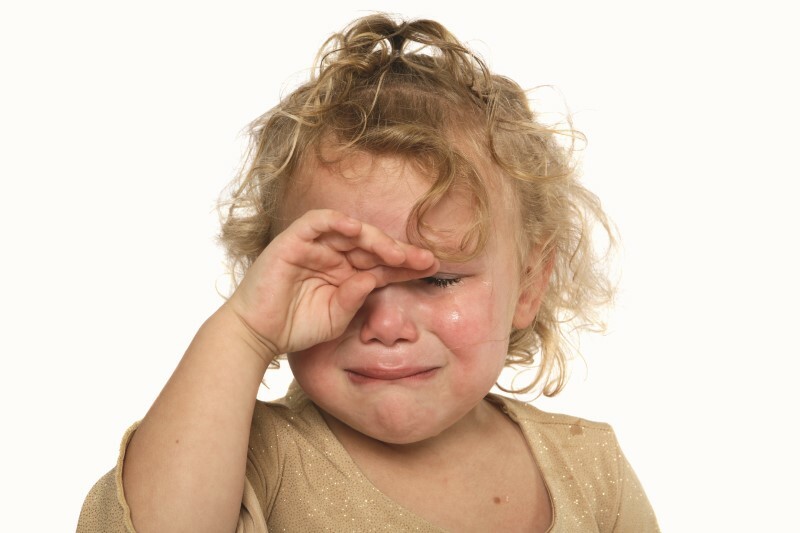 Spanking makes children feel overwhelmed, hurt, angry and humiliated. Often they do not even know why they got a spanking. Physical punishment can lead to aggressive behavior later on. Most parents do not want their children to hit or be hit. They do not want their teenage daughter to think that it is okay for her boyfriend to hit her or their teenage son to slap the neighbor’s little boy. Hitting teaches children that people who love you may hit you, and it is okay to hit people smaller than you are. Most parents who spank their children do not go to the extreme of physically abusing them. Most physical abuse of children, however, begins as ordinary physical punishment. Parents lose control and children are badly hurt. Positive discipline —teaching children the right thing to do — works. Punishment does not work. 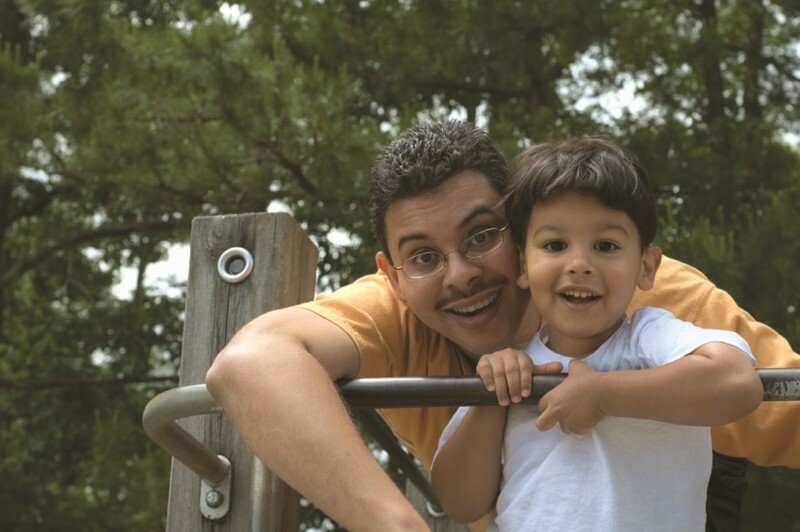 Outdoor play gives your child fresh air and the chance to use energy by running and jumping. Besides new physical skills, your child will learn how to get along with others. Outdoor play with other children is a great opportunity for your child to learn social skills. Sharing, taking turns, learning to use manners, solving problems and coping with conflict can all be practiced on the playground. Take your child out to play or for a walk every day —if weather permits. Young children enjoy kickball, chasing games, hide and seek, and climbing. Your child can help you with safe outdoor chores. If you are gardening, you could purchase child safe gardening tools and let her help you dig and plant. Young children love to help parents. They will learn life skills as they work with you.